Using the same palette as yesterday, and the same stabbing brush strokes, I created the watercolor below. I initially entitled the work above ‘Fireworks’. I even had this in mind while I was painting it. However, in the interest of ambiguity and allowing the beholder to exercise his or her own imagination, I did not state that information up front. 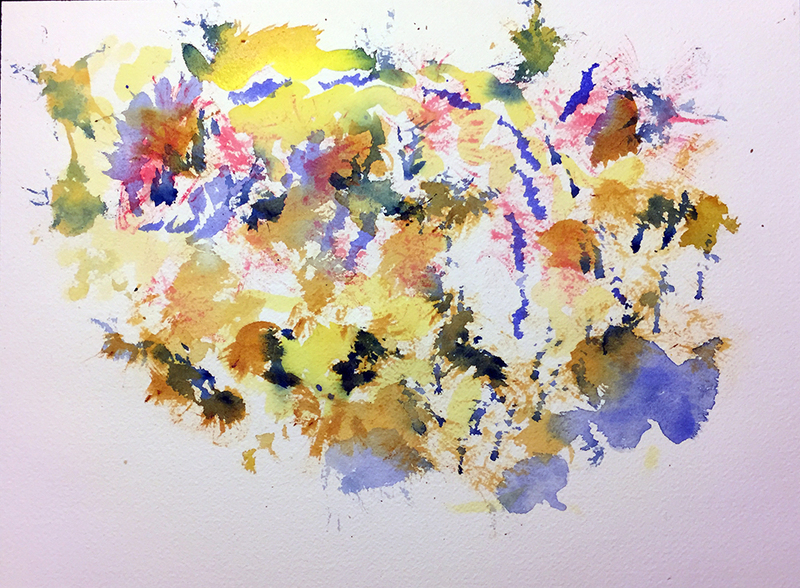 This entry was posted in Personal Stories and tagged abstract art, ambiguity, artistic process, beholder's share, creative process, creativity, Eric Kandel, Ernst Gombrich, painting, watercolor. Bookmark the permalink. Thanks, K. A brain (with all synapse firing properly) is a wonderful thing to have (use of).